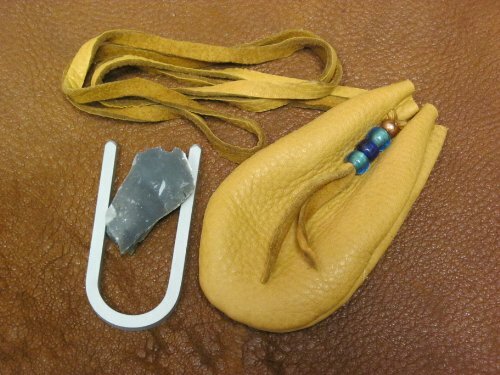 Comes with small flint piece, buckskin neck pouch and steel 'U' shaped striker. Great gift for all bushcraft and outdoor aficionados! High quality U striker and English flint piece. Sparks easily. Comes with instructions. If you have any questions about this product by Primitive Fire, contact us by completing and submitting the form below. If you are looking for a specif part number, please include it with your message.